Spring cleaning is about to begin if it hasn't already. In my house, spring cleaning started on Imbolc and boy am I feeling good about it. There are few things I love more than a clean, organized home. 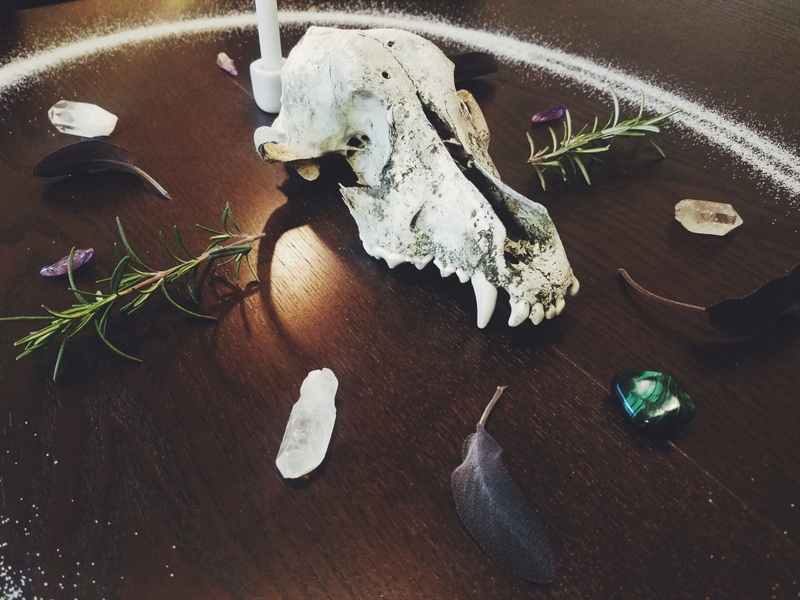 While there are tons of blogs and even an entire Netflix series out there to help you clean and organize your home, no matter what time of year it is, there aren't too many focusing on the witchy side of cleaning. We all know that you need to routinely cleanse your home and self, especially before and after working with spirits. Its common courtesy to make sure your guests have a "clean" space to visit and its common sense to make sure those guest leave completely when you ask them to. Sometimes you cleanse because things just feel "heavy" or the vibrations in your home are just off. This is usually the type of cleanser I am. When my home begins to feel heavy or I notice I have no energy or motivation, I realize its time to cleanse everything and raise that vibration through the roof! But let's be honest here; when was the last time you completely and thoroughly cleansed your home and I mean deeply cleansed your home? Mine was when I moved into the home a couple of years ago. Yeah, it's been a while, and it has probably been a while for you too. While routine cleansings are great and work really well, energy sometimes gets trapped under furniture that never moves, behind the fridge, or in a closet you rarely open. It's important to make sure that every so often you get rid of the stagnate energy hiding around your home. This is where this ritual comes in. This Deep House Cleansing Ritual is designed to remove any and all stagnate or negative energy from the home and leave it feeling light and airy. You'll feel the effects immediately. Begin by completely cleaning your home from top to bottom, and I mean cleaning. 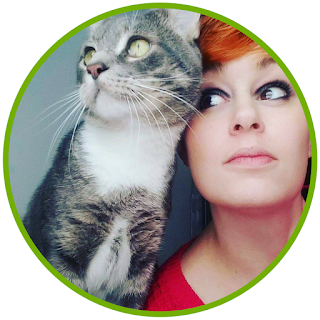 Get underneath furniture, clean out that closet of yours you never open, and vacuum up all the cobwebs in the corner of that guest bedroom you forgot you had. You want to make sure you stir up all the energy in your home. If you don't have time to clean or your home is already pretty clean and well-organized, go ahead and vacuum or sweep to get any debris off the floor. When you are done cleaning the floor, walk around your home clapping, especially in places that you don't visit often, behind doors, in room corners, and under furniture. Between sweeping and clapping, you will have stirred up the energy in your home enough for this ritual to be effective. 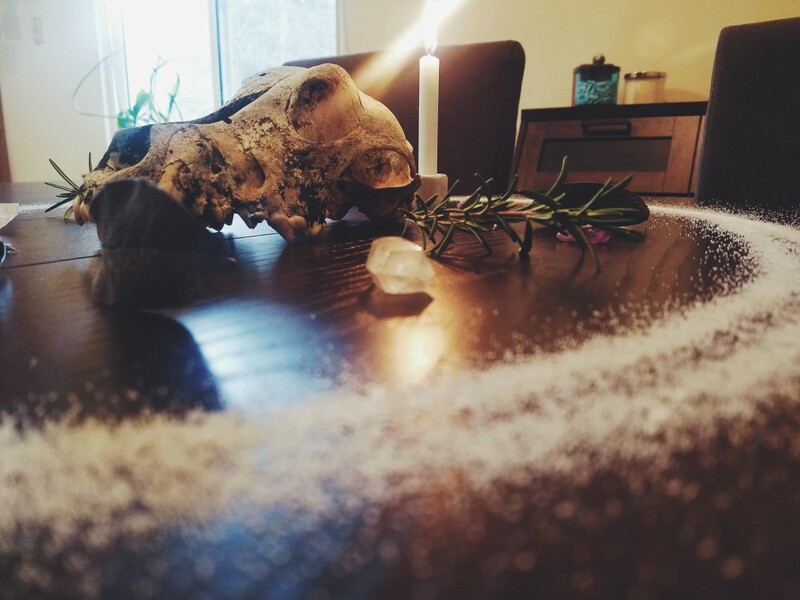 Once your house is cleaned or you have finished stirring up the energy in the home, set up an altar in a central place, such as a living room or kitchen table. It will need to be off the floor and large enough for you to display your items and encircle it in salt. Place the image of the scavenger in the center with the candle behind/above the image. Around the image and candle, place your quartz crystals facing outward at each corner. In front of the image (South) place your malachite while filling in the other cardinal directions with amethyst. Place 4 sage leaves next to the quartz at the corners and 2 sprigs of rosemary on the left and right side (East and West). Encircle the entire altar in a ring of salt. "Spirit of [animal name] I invoke thee to cleanse the negative and stale energy from my home. I ask for your aid as I perform this cleansing ritual. I empower thee with quartz, amethyst, and malachite, to bring purification, balance, and prosperity to this home. With rosemary and sage, I empower thee with purifying energy and ask that these plants protect my home and those within it. So shall it be." "By this candle, I begin this ritual to purify and cleanse my home. When the candle is snuffed out, the ritual is done and no negative energy shall remain." "With this broom, I sweep away all negativity. Only happiness and positivity remains." When you are complete, you should have nothing but salt and maybe a small amount of debris. Flush this down the toilet, imaging all the negativity flushing with it. If you vacuumed up baking soda or have too much debris to safely flush, throw the remains in the garbage and remove it from your home. "By water and earth I cleanse this home. Only love and happiness may enter here." "By fire and air, I cleanse this home. Only love and happiness may enter here." When you are finished, spend some time meditating in front of your altar. Feel how light and airy the home now feels. Allow the candle to burn out on its own and thank the animal spirit for aiding in your cleansing ritual. You will likely wish to bathe at the end of this ritual to remove negatively that may have latched on to you. Why was this ritual set up the way it was? 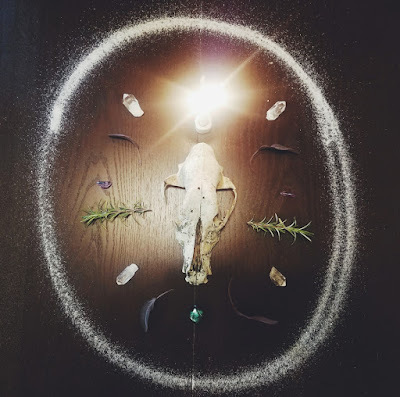 This is something I decided to do for each of my spells and rituals posted on this blog because I felt a lot of times we find a spell online and go through the motions without really understanding why it was done the way it was. So why the scavenger altar? First and foremost, scavengers are natural cleaners; they come through and pick up all the "rotten garbage" and dispose of it so the ecosystem can remain healthy. Without scavengers, there would be an increased risk of contracting a potentially deadly pathogen. Because of this, they are strongly associated with cleansing, which is perfect for a cleansing ritual. On my altar, I have a coyote skull as my centerpiece, but a picture, drawing, statue, or plastic toy will do the trick just as well. The white candle above the scavenger image is for cleansing and purification as white and fire are both cleansings in nature. White reflects all light, thus removing all energy from it, while fires often rip through a landscape destroying everything in its wake to allow new beginnings. The candle was also used to activate and close the spell once the altar is set up. The quartz crystals around the scavenger image are for cleansing and purification, as well as to amply the effects of the spell. Amethyst is a balancing crystal while malachite is used to bring prosperity (being green and all), both energies you want to remain in your home when you are done with this ritual. 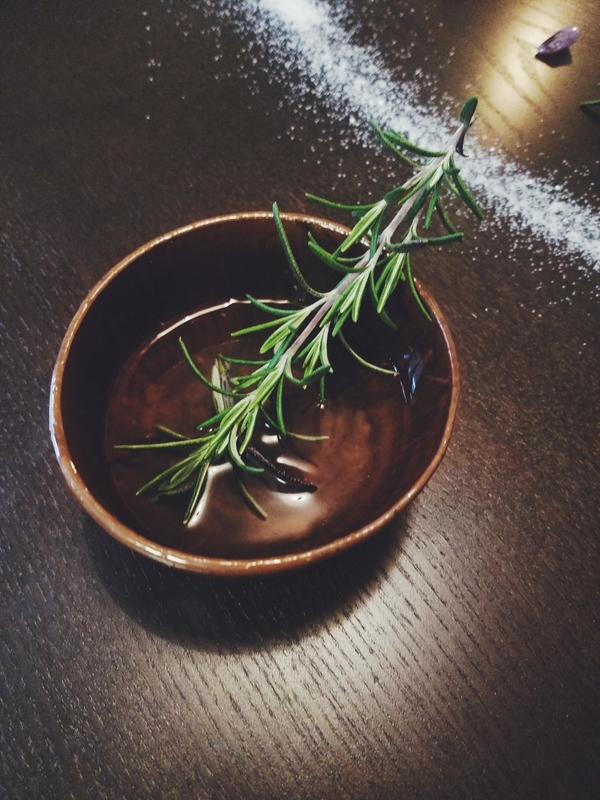 Sage and rosemary are both strongly associated with purification and cleansing, partly due to their strong aromas and their antibacterial tendencies. The entire altar was in the center of a ring of salt, as salt is purifying and cleansing, this association coming from its use in drying and disinfecting wounds and traditional folklore saying ghosts and demons cannot cross a line of salt. 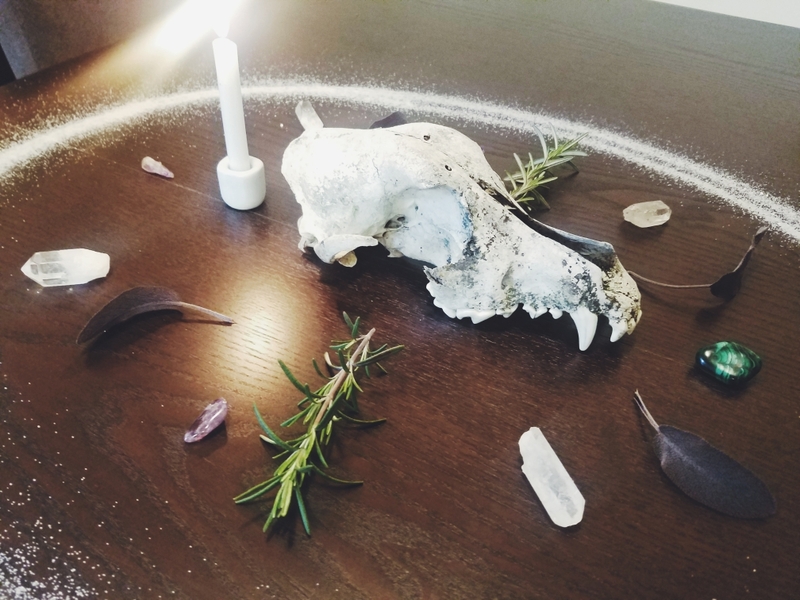 We placed this altar at the center of the home or in a room frequently traveled because this area is the heart of your home and where any cleansing journey should begin. The magic and energy in that space are usually already high, and the scavenger spirit can use that energy to boost the power of the ritual. The salt on the floor was used for the same reason as the salt around the altar. 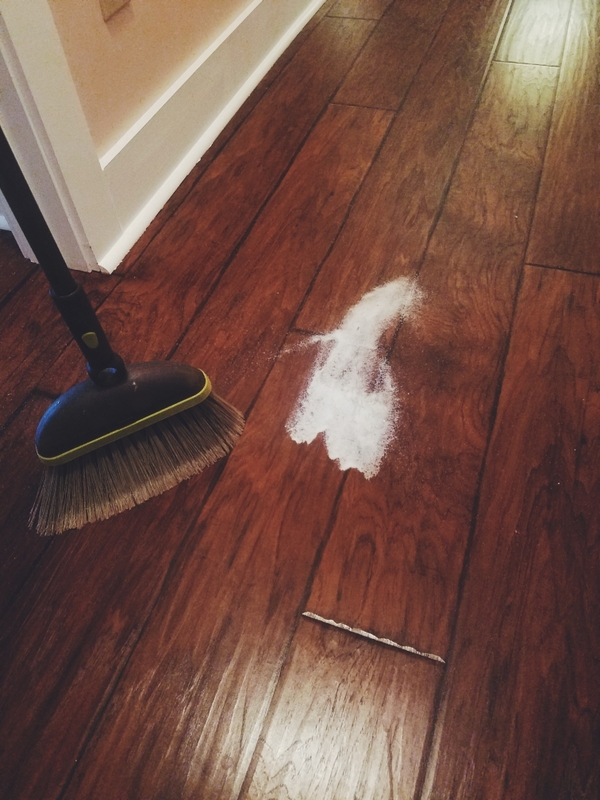 Sweeping with salt is a folkloric tradition said to remove negative energies and purify a place. As you swept or vacuumed, you did so from Northwest to Southeast to banish the negativity from your home. If you used a broom to do this ritual, you increased the spell potency because brooms are closely associated with cleansing and purification because of their cleaning nature. By flushing the salt down the toilet or discarding them outside the home, you made sure that the energies you were banishing were not welcome back. Coming behind the sweeping with the sage and rosemary salt water and sage smoke further cleansed the home by invoking the elements to aid in the cleansing process. As mentioned before, salt, rosemary, and sage are all heavily associated with cleansing and purification. Water is known as the great purifier as it washes everything away, while Air is able to stir up negative energy so it can float out of the home. Walking counterclockwise was done to banish the negative energies from the home. Looking to break this spell? Unfortunately, this isn't a spell to be broken. Once you have cleansed the negativity from your home, it will not be welcome back. However, if you are looking to get rid of the scavenger spirit, simply thank it and ask it to leave. Feel free to leave an additional offering if you do not feel the herbs were enough. Remember to record this ritual on your ritual/spell worksheet and have fun cleansing your home this Spring. I hope it brings you as much joy as it brings me!